PUJOL - Mayday from Saddle Creek on Vimeo. Brain Idea is from Chicago, which is a bit surprising because their sound would fit perfectly with the Bats, the Clean, the Verlaines and other acts on the venerable New Zealand label Flying Nun. To my ears, that's a sound that always is welcome. The members of the band are Ben, Joe, and Grant, and they released a five-track EP, Cosmos Factory, on the Mexican Summer label earlier this year. They released a nine-track album on Permanent Records in 2010 named Survival Scrolls. By request (thanks Frank! ), let's cue up Irma Thomas, one of the great all-time soul singers, and the pride of the musical mecca of New Orleans. Irma recorded the song in 1964 and upon hearing it, the Rolling Stones immediately then recorded their version. Youth Lagoon (Seattle musician Trevor Powers) is playing some beautiful, languid lo-fi indie rock. He's not afraid to stretch out on the guitars or to slow it down and let the song grow almost of its own accord. Vocals are not clear or up front, but they support the overall sound well... almost like Doug Martsch's in Built to Spill. 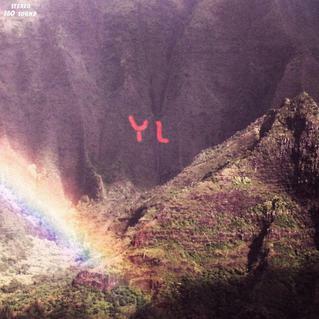 I'd recommend Youth Lagoon for anyone who's a fan of Built to Spill - there's not anywhere near the guitar attack, and some keyboards and synths are substituted for raw guitar power, but like a lot of Martsch's work, there's some sparse beauty and excellent playing. Enough with the comparisons... check out track 2, "Cannons" and tell me if it's not one of the prettiest rock tracks you've heard this year, and track 5 "Day Dream" and its repeated guitar line and primitive chanted vocal "oh oh oh's". This record impressed me with its approach and the variety of sounds created, as well as Powers' obvious talent - the focus on creating something beautiful out of the tribulations of life is clear, and it serves him well as this is a very pretty record. Sometimes I wonder whether a soft, mostly acoustic album can hold my interest. Then an album like The Spectator & The Act by I Build Collapsible Mountains comes along, and I wonder how I could have wondered. Over the past few weeks this has been the album to which I turn late at night, with the headphones on, connecting with emotions and personal space after a day of playing lawyer, dealing with other duties or straining to be "on" in engagements where I really don't feel like it. That isn't because the album is peaceful or soothing (although musically it is both of those), it is because it is an album to get lost in, to really pay attention to the words, phrasing, and underlying emotions. I Build Collapsible Mountains - 'face of thunder grin' from luke joyce on Vimeo. Just tell me its love before my head hits the floor. Joyce also is the front man for indie rockers The Gothenburg Address. I don't think he's abandoned that project, but IBCM is his platform to showcase his singer-songwriter side. More than that, the album seems to be an explosion of emotions, including longing and rejection. I hope it was cathartic for Joyce, because for the listener the result is a work of art and a musical treat. 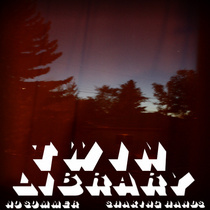 The album was released in October on Seattle's Burning Building Recordings. It seems to be flying under the radar, which really is a shame. I urge to to turn down the lights and let this one wash over you. Rocksteady74's Seattle concert pick for this weekend is The Posies, supported by Star Anna & The Laughing Dogs and Curtains For You, Saturday November 19 at the Neptune Theatre. Why that concert on a good weekend for concerts? I'm glad you asked. There are three reasons. Reason One: For over two decades, as The Posies and separately as solo artists and with other projects, Jon Auer and Ken Stringfellow have been making intelligent, soulful and sincere fusions of rock and pop. Their energy and passion for music and refusal to stand still artistically keep them relevant and entertaining. As a case in point, consider their fine album from 2010, Blood/Candy. Reason Two: The Posies will play their seminal album Frosting on the Beater in its entirety Saturday night. Yes, "Dream All Day", "Flavor of the Month", "Solar Sister", "Burn & Shine" and the rest of that album will be on the setlist. Reason Three: Rocksteady74 loves The Posies. The opportunity to see them in Seattle is too good to pass up. The concert is presented by STG (Seattle Theatre Group). The link for the concert is provided below. Glasgow indie poppers Zoey Van Goey released their sophomore LP, Propeller Versus Wings on Chemikal Underground this spring. One of that album's most engaging songs is "You Told the Drunks I Knew Karate", and he band just released a fun video send up of the modern artistic martial arts movie. The band's line up is Matt Brennan, Michael John McCarthy, Kim Moore, and Adam Scott. You know what it's like when you are finishing the last drink before bed on a quiet night, and you wish that you could squeeze the glass to get few more swallows? Well, that's the way I felt when I finished my first listen to Jacker from Chicago's Heavy Times. I wanted to squeeze another song or two from the player. It isn't that the album is ungenerous, there are 12 tracks. But they are short songs anyway and I really, really didn't want the album to end. Here is a live version of one of my favorite tracks from the album: "Skull Hair". Heavy Times are Bo Hansen, Matt Jacker, Mathew Horde, Luca Cimirusti. Their sound isn't easy to classify. It has the speed, aggression, and noise of punk and garage, but the guitar sound is has a dense fuzz and the guys can wring out convincing rock solos on top of the three chords. Moreover, the songs have engaging vocal hooks. Whatever one wants to call it, it is a winning recipe. I've sort of grown skeptical, if not weary, of the unaccompanied "man/guitar singer-songwriter" convention lately. It's not that it's a played out form. Hell, folks have been doing it hundreds of years, it's not like we'd run out of ideas all of a sudden. It just seems like there's been a troubadour glut in recent years. My theory is that this can be traced to the phenomenon wherein a bunch of guys listened to the first half of Damien Rice's album "O" and decided it couldn't be all that hard to crank out sweet, sweet folk tunes that will make the ladies swoon. The problem is (this is still my theory) they never listened to the second half of that album, and thus missed an important cautionary tale about self-indulgence and, well, you know, self-indulgent crap. So despite getting a revelatory effort every year or two from a Richard Buckner or an Eric Bachmann or a Mark Kozelek, I've come to not expect much from this little corner of the music world. These expectations were gloriously shattered a few weeks ago when Punknews.org led me to the Bandcamp page of a young singer-songwriter-guitar-prodigy from Huntsville, Alabama named Colin Bugbee. Last month he released what appears to be his debut EP, Hallé, on Get Young Records, a very promising new label out of Boston. In these seven forlorn songs about drinking, heartache, and drinking, Bugbee carves out an astonishingly original and unique space for himself in this genre. His old-soul lyrics and fascinating guitar sketches are arresting enough, but it's the voice -- good lord what a voice -- that has me wearing out the grooves of that tiny file on my ipod. It's hard to peg a proper comparison to his singing. If you've been fortunate enough to experience the genius of Chris Flemmons of the Baptist Generals, that ought to give you a bit of an idea. Heck, why don't you listen for yourself? Here' s a tune off the EP, "Babe, I'm Goddamned Sorry", with subtle backing harmonies courtesy of a couple of Bud tallboys there in the background. It's a beautiful song from front to back, but you're missing the real payoff if you don't watch the whole thing. The version on the record is even better, with Bugbee desperately wailing "I'm not your man, I'm not your man" to finish the song. Here's the closer, "Mail Order Magazine". Thankfully, the video is a still, so you don't have to worry about anything crawling into or out of the, err, fixtures in the foreground. The second track, "21 Overnight" is as good a song as I've heard all year. Review - Over the Rhine "The Long Surrender"
This CD has been out a few months but cannot be overlooked. Over the Rhine are Linford Detweiller and Karin Bergquist, a husband-wife duo who took their band name from their downtown Cincinnati Ohio neighborhood. They've been making music for 20+ years and this is their 11th studio record. The Long Surrender is yet another fine production effort from the great Joe Henry (yes, occasionally I do plug CDs not produced by Joe Henry, but not today) and featuring Joe's A-team of LA sessions players - Jay Bellerose, Dave Piltch, Patrick Warren etc., plus a guest vocal by Lucinda Williams. They are all perfectly sympatico with Over the Rhine's gorgeous piano-based Americana and the exquisite singing of Ms. Bergquist. This will appeal to fans of Joe's work with Mary Gauthier and Lisa Hannigan. It's beautiful, mournful, searching, and it digs very deep emotionally. Did I mention that Karin Bergquist is an amazingly talented singer? Very highly recommended. 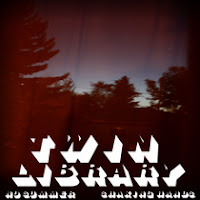 New Discovery: Twin Library - "No Summer/Shaking Hands"
Twin Library is an Edmonton lo-fi rock band, and they have all the right influences - Guided By Voices, The Velvet Underground, The Wedding Present, The Clean - to grab my attention. And having grabbed it, they're offering a couple of opportunities to download their music and name your price. I recommend it - they're terrific. It's beautiful lo-fi music with definite Pollard influences. As I listen to more, you might see a review of their most recent full-length, Softer Seasons, on WYMA. New Single from The Twilight Sad - "Sick"
Very strong. Check out more - Daniel Pujol MySpace. Not a weak cut in the bunch. One can imagine a young band whose gig is invaded by an axe-wielding madman who commences chopping up the bar, tables and glassware to be a bit intimidated, and perhaps reconsider the wisdom of the venture (and perhaps wonder if all music critics are that bloody emotional). But Edinburgh's Bwani Junction are not that sort of young band. As I recall, they displayed the local paper's headlines of the incident on social media and named their label in honor of the incident. And today their Aksatak Records released the band's first album, Fully Cocked--a debut brimming with quality, confidence, personality, and some of the catchiest guitar pop songs of the year. Bwani Junction are Fergus Robson (bass, keyboard and vocals), Jack Fotheringham (drums, vibraphone and vocals), Rory Fairweather (guitar and lead vocals) and Dan Muir (lead guitar and vocals), three 19 year-olds and one geezer of 20, all of whom were students at the private Merchiston Castle School in Edinburgh. What originally drew me to the band was their sound, which has elements both familiar and exotic. The familiar is easily described--Bwani Junction is a Scottish indie rock band with the expected instruments (two guitars, bass and drums) and song structures. But a few aspects of their sound set them apart from their peers. First and foremost, Dan Muir's African-influenced lead guitar style. And don't assume that this is just a Vampire Weekend-inspired affectation. Dan learned the style directly from Rise Kagona, guitarist for Zimbabwe's Bhundu Boys, for whom his father had served as manager in the late '80s and '90s. Fergus' fat rubbery bass, typical in Afro-beat and reggae, heightens the world beat sheen. Rory's vocal delivery is understated and has the tone of a natural storyteller (embellished by an hint of Edwyn Collins warble). Jack's drums alternate between understated support and aggression. Of course, all the that talent would still come short without good songs. Fortunately, Fully Cocked reveals the band to be quality songwriters, as well. Rather that reach for the grand scale -- and necessarily speak in platitudes necessary when teenagers aspire to The Grand Statement -- the band writes about what they know. Standout track "Two Bridges" begins "All the boys down Walker Drive / They don't seem so bad any more / Remember nights, little chilly nights / When they was knocking down our door? / Remember Lucy, she was all shook up / Make up running down her face / All she could do was stand and watch / You've got to be tough in this place". Even their foray into political commentary, the anti-war "Today's Crusades", focuses on their observation of troops in nearby barracks leaving for the middle east and returning with fewer members. While the songs often are based on a mid-tempo platform, they feature changes of pace, Dan's engaging lead guitar bridges, sing-a-long choruses joined by the entire band, and positive deliveries, resulting in music that both is varied and invites the listener into the band's world. These aren't songs you put on the pedestal and worship for their indie perfection; these are songs to which you dance, sing along and share with the band. Bwani Junction hasn't released any videos for Fully Cocked as of this writing. Fortunately, the BBC did an admirable job filming the band's set at the T in the Park festival in Scotland this past summer. The clip features three excellent tracks from the album, "Roots Too Deep", "Today's Crusades", and "Two Bridges". The whole set spans fewer than 16 minutes and is worthwhile in its entirety, but if you only have time for a shorter taste, my recommendation would be to take in the last five minutes because, in my view, the third song -- "Two Bridges" -- is among the best five songs I've heard this year. I also expect that you can listen to the tracks on Spotify, and snips of tracks on various sites. In addition to "Two Bridges", my favorite tracks include "My Body, My Mind", "Roots Too Deep", "Bianco's", "Today's Crusades", "Marlebone", and "Middle Meadow", roughly in that order. Fully Cocked was produced by Paul Savage, truly Scotland's hottest producer, at Chem 19 Studios, and funded in part with a grant from the Creative Scotland and the remainder for the boys' pockets. It is released on Aksatak Records. At this point, physical copies are available retail only in the UK and continental Europe. However, Amazon has the MP3s available, and I expect iTunes does as well. You may be able to obtain a physical copy from Sterns Music, Avalanche Records or other sources. One of Bwani Junction's peers on the Scottish music scene to told me that he wasn't surprised that a band this young could produce a debut LP, because in his estimation they probably have 30 quality songs already. And I am confident that a band that has this much going for them out of the gate will be on our radar for a long time. They have the songs, the charisma, the drive, and they are managed by a music industry veteran, Gordon Muir. Make no mistake, this Bwani Junction are Fully Cocked. Beaten By Them is an art rock band - at least that's what they sound like to me - with similarities to American Analog Set, but a bit more abstract. One thing they do well is to build their sound... on this four-song EP, People Start Listening, the fourth track "It Can Take You Higher" turns into something you might expect from Mogwai. For a short EP, they cover a good bit of territory in terms of sound levels and tempo - this is worth your time to check it out. Here's a video about the making of their most recent album, Invisible Origins. There aren't any videos from the current EP, but they are working on a full album so hopefully more soon.